Our first complete new site for our client Rodericks Dental. 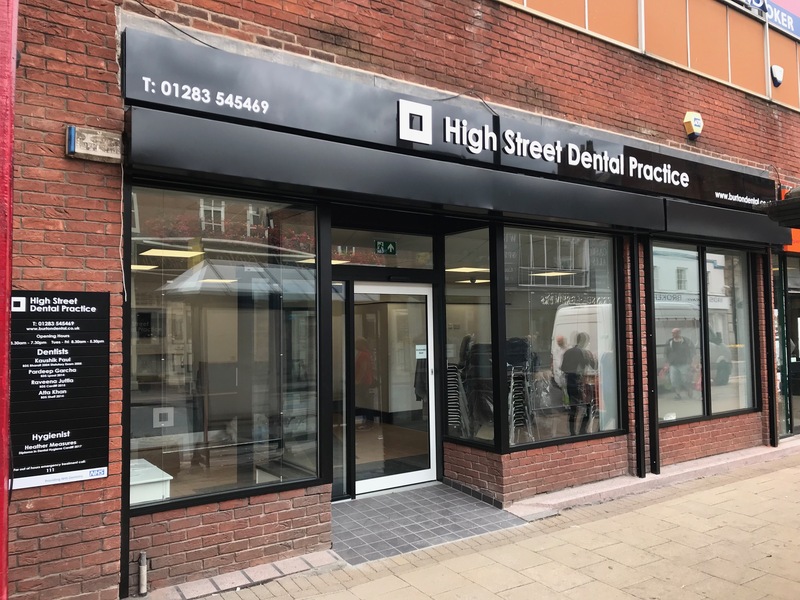 Externally a fabricated aluminium fascia sign with stand-off acrylic lettering & Slated dentist information name directory. Internally, A0 acrylic poster holders on cable fixings in the windows, Reception desk and welcome to acrylic signs and various Surgery acrylic door signs. A very satisfied client at the end of the project.